The girls’ choir, the Roden Girl Choristers, was founded in September 2000 and is committed to the development of young singing talent. This dynamic group of girls, under the leadership of artistic director and conductor Sonja de Vries, has already gained a sound reputation. 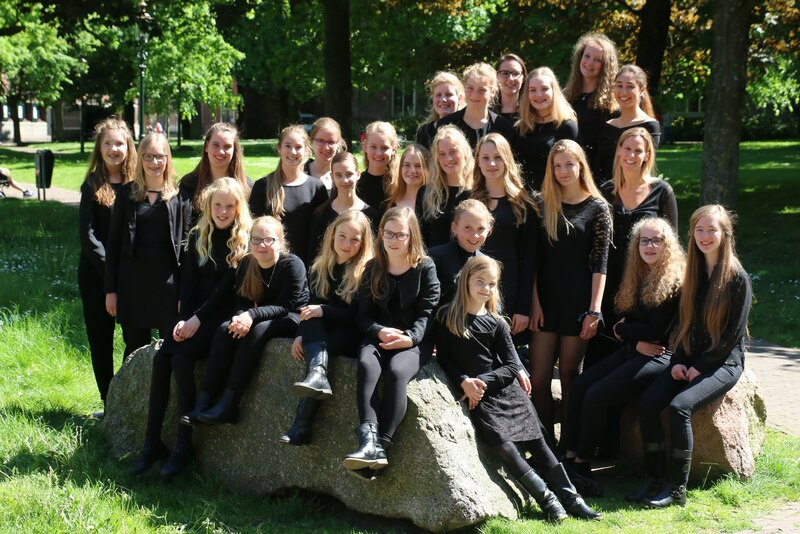 The Roden Girl Choristers’ goal is to be a reference point for girls’ choir singing in the Netherlands. The choir consists of around 20 to 25 girls aged 8-18 years. The choir is part of the Stichting Koorschool Noord Nederland (The Northern Netherlands Choir School Foundation). During the course of their training young girls are prepared for an audition as chorister. Individual voice formation results in a unified choir sound within which each choir member can strike up with self-confidence. A self-confidence which furthermore is strengthened by the social cohesion of the group. Founded on Anglican principles, the choir is inspired by the clear, taut, open sound idiom of the British boys’ and girls’ choirs. Also, in relation to repertory choice, the Anglican choir tradition is an inexhaustible source of inspiration. Study trips to the United Kingdom, with master classes by fellow choir directors, are a regular occurrence. Exchanges with fellow choirs from the UK, such as that of St. John’s College, Cambridge and the University Choir of St. Andrews also contribute to the musical formation of the choristers. The next study trip is in the diary for 2019 with concerts and evensongs in several beautiful cathedrals. The choristers contribute to large choir and orchestra productions, such as Carl Orff’s Carmina Burana and Mass of the Children by John Rutter. Johan Sebastian Bach’s Matthew Passion under the inspiring direction of Reinbert de Leeuw in 2016 was a particular highlight. The choir’s permanent accompanist is organist Sietze de Vries.